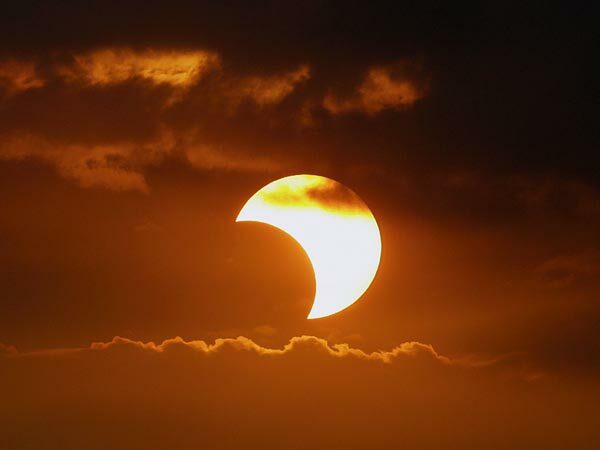 Head to Southern Taiwan to See Partial Solar Eclipse on March 9th. Chances of seeing a partial solar eclipse tomorrow morning will be slim for people in northern Taiwan. The Central Weather Bureau says a frontal system coupled with a cold air mass will arrive in the north tomorrow morning, bringing not only heavy clouds but rain as well. The CWB says those who really wish to see the celestial phenomenon need to head to southern or southeastern Taiwan where they can see some 25-percent of the sun covered. Astronomers said the partial solar eclipse will start at 8:15 Wednesday morning and at 9:15 the sun would be covered the most by the shadow of the moon. At 10:15 AM the sun will be fully round again. But astronomers say partial eclipses are virtually unnoticeable, as it takes well over 90% coverage to notice any darkening at all. Even at 99% it would be no darker than twilight. Experts are also warning of the danger of watching the sun directly, saying using sunglasses or self-made filters must be avoided. They say that the safest way to view the Sun’s disk is by indirect projection.